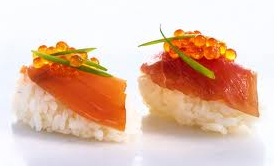 Center for Disease Control and Prevention United States (CDCP), Wednesday (4/5) says at least 90 people were reported poisoned rare salmonella bacteria - Bareilly -which allegedly contained in the food sushi. Reported that salmonella outbreak has spread in 19 states and the District of Columbia from January 28 to 2 April 2012. With so many people who fell ill from salmonella outbreak, the plague is apparently still ongoing. The victims, who contracted salmonella bacteria, said they are eating sushi, sashimi or similar food. In the news reported by Xinhua, there has been no report of death or hospitalization of victims of salmonella bacteria. CDCP is currently working with government officials and the Food and Drug Administration (FDA) was to identify the source of salmonella outbreak. 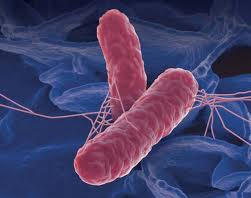 Patients infected with salmonella will usually experience diarrhea, fever and abdominal cramps during the 12-72 hours after infection. Food borne illness usually lasts for 4-7days. Although many people recover without treatment, salmonella poisoning can also be a serious matter, which could bring the victims required hospitalization or even death. Cooking right is way to kill salmonella and other food borne pathogens.